Camp Nashoba North provides our staff with the unique and incredibly enjoyable opportunity to provide a memorable summer for our wonderful group of campers. A large portion of our counselors’ duties take place outdoors on our beautiful campus. Summers at Nashoba North are full of excitement as we lead an active lifestyle and encourage campers and staff alike, to step beyond their comfort zone and gain new experiences. 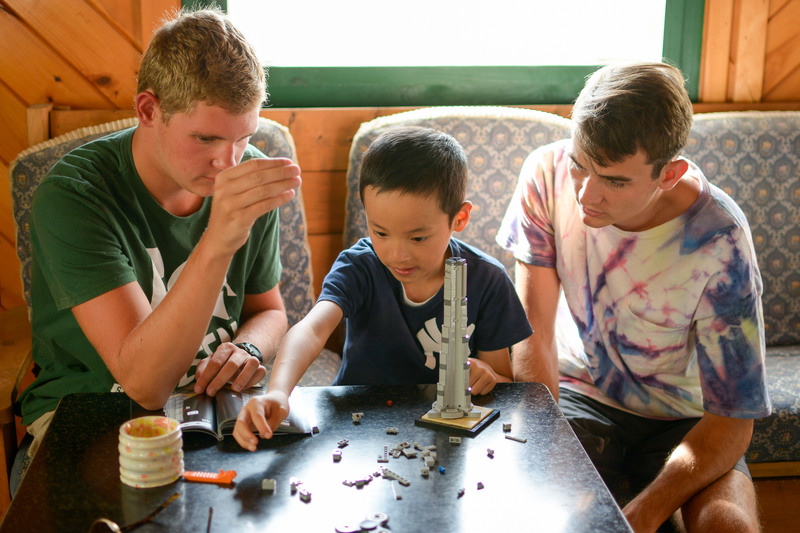 Our staff takes a great deal of pride in facilitating the level of personal growth that we see within our campers. Additionally, we see staff members form bonds with one another that carry on long after camp is over. Camp is all about having fun, learning life skills and making long lasting friendships. Our staff is comprised of a diverse group with ages ranging from 18-35, all of whom are passionate about working with children. Our counselors come from all over the United States and many different countries around the world. In a given summer, at least 8 countries may be represented within the staff. Approximately 70% return from year to year and teachers and graduate students comprise a large percentage of our staff. One of the primary duties of our staff is to stand as positive role models for our camper community. Our counselors have a greater impact on the lives of our campers than they may ever know and each staff member needs to understand the degree to which our campers follow their lead. Because our staff’s every actions have such an impact, it is their positive attitudes and enthusiasm that set the pace for camp each summer. All of our counselors provide expert instruction in at least one particular activity area in addition to living with kids. Our counselors also play a vital role in what we consider to be the most important functions of Camp Nashoba North. Camp is a very special place that enables kids to take safe risks and discover a great deal about themselves. Fostering interpersonal relationships and supporting campers’ personal growth are paramount and these tasks could not be accomplished without a compassionate and dedicated staff. As a counselor at Nashoba North you can expect to have an incredibly exciting and rewarding summer. It is an environment that attracts a diverse group of interesting people from around the world. 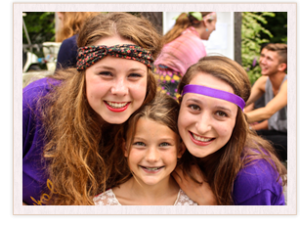 Expect to enjoy your time within the camp environment working with campers and creating the perfect camp atmosphere. Likewise, expect to enjoy the time off that our staff receives, enabling them to interact with their co-workers and create long lasting friendships. Thank you for considering working with us this summer. Fill out our online job application or download the PDF. If you would like to receive a paper copy of the application, please call or email us. If you have received notification of employment, please check you email periodically for any updates we may be giving out. In addition to the Nashoba Website you will be invited to join a social networking site that will provide important information to prepare you for camp. We have created an Alumni Area for staff to make contact with friends and past co-workers. We encourage you to keep in touch. For more information, read the Staff FAQ, Contact Us or see the Online Application. If you are looking for an exciting and stimulating summer experience working with children, please contact us! Send us your staff application or email us your postal address. College Credits? Your work at Nashoba North may apply to your degree. Check with your advisor and we are always happy to work with you and your professors on curriculum.